Mammut Belay Sling. 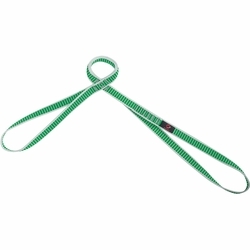 This patented self-belay sling ensures maximum safety at the belay station and when rappelling, and that you have the situation under control. Tested in accordance with EN 566.